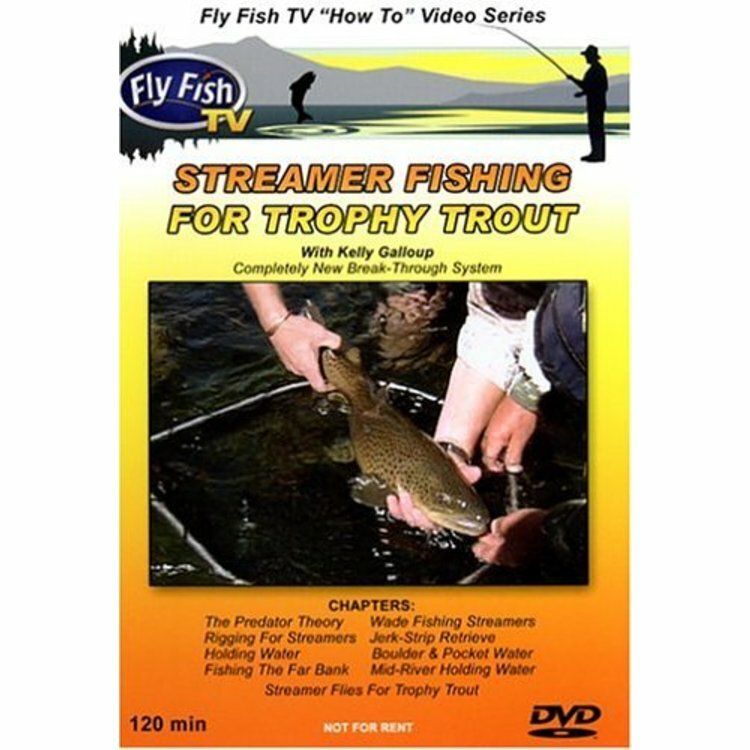 DVD-Streamer Fishing for Trophy Trout with Kelly Galloup, Streamer fishing for trophy trout is a two hour dvd that will show you how to hunt for large predatory trout using the streamer tactics I have developed over the course of twenty years. 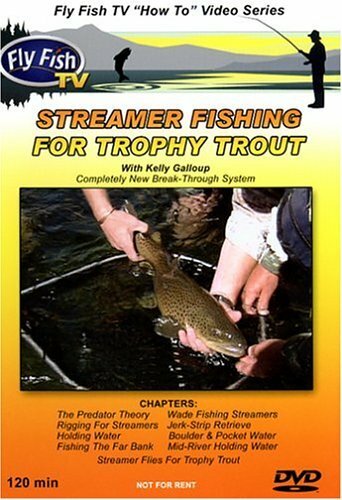 DVD-Streamer Fishing for Trophy Trout with Kelly Galloup, From the author of “Modern Streamers for Trophy Trout” comes a completely new way of looking at and fishing streamers for big trout. Includes: Theory, reading water, retrieves, wade and boat tactics, flies and more. The jerk-strip retrieve, essential to Kelly’s technique, is just one of the finer points of streamer fishing he will teach you. Discover the lines, leaders, and patterns that will bring bigger fish to your presentation. 2 DVD set; 120 minutes.